We had reported about the $100 netbook which was to be sold at CVS stores earlier. It got better today with Walgreens selling a $100 Android tablet from Maylong. Called the Maylong M-150 is a 7 inch Android tablet available exclusively from Walgreens.com. 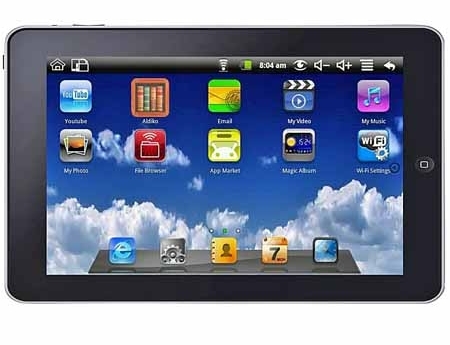 The tablet has a 7 inch 800 x 480 pixel resistive touch screen display and comes with 802.11 b/g WiFi, Ethernet and USB connectivity. It also has a usb dongle, speakers, a camera, microSD card slot with 2GB of flash storage, and 256MB of RAM. The tablet runs on a VM8505+ ARM9 processor which clocks at about 400MHz. Maylong does not offer its own app store and the tablet doesn’t include access to the Android Market, but Maylong says you can download and install custom Google Android applications. The product comes with a web browser, an eBook reader and apps for alarm clock, contacts and calendar. The tablet can also be used as a digital photo frame. Check out the video and you can buy it here.